Eat tipica (typical food). It’s the most authentic and delicious food you will eat while supporting local people. Find a place in a pueblo that looks like a restaurant, but also looks like a house and surely they will serve you with the and most wholesome experience. Turns out, they’re also the cheapest places to eat. Instead of just visiting tourist traps, volunteering your time is a rewarding way to connect with the beautiful land, the people, make a positive impact and feel warm and fuzzy inside. Here is a list of places you can volunteer! Don’t be shy with the local people. If you show a genuine interest in learning about their culture they will be surprisingly warm. Bring simple toys to a pueblo and start playing with the kids, you will have them laughing and smiling from ear to ear in no-time. Do a language learning immersion where you take one-on-one Spanish lessons while living with a local family. This full cultural experience accelerates the learning process. Some immersive Spanish schools on Ometepe are Altagracia Spanish School, San Juan del Sur Spanish School, and Ometepe Spanish School. 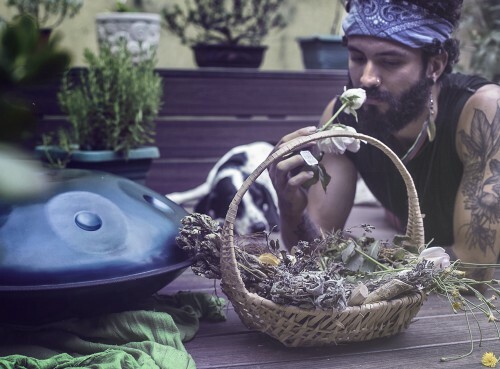 Do work-exchanges at ecovillages or permaculture centers like Zopilote, Inanitah or Project Bona Fide. Bryan and Shayna’s immersive visit allowed them to discover the startling environmental and economic challenges the island faces. Ometepe used to be one of Nicaragua’s best kept secrets. The Nahuas Tribe were led to this sacred island after a series of collective dreams that guided them to ‘two hills’ majestically projecting from a small island. It is now becoming a hot destination for tourists from around the world. It’s no surprise with its active-volcanos, cloud forests, beautiful beaches and island-bliss that people would travel for a full day via bus and boat to get there. When looking deeper beyond it’s beauty, you’ll learn that Ometepe Island is suffering economically and ecologically.During the drawn-out dry season, Nicaragua is at it’s highest food insecurity and is the second poorest country in Latin America, according to the Food and Agriculture Organization of the United Nations. Soil erosion is up to 2 inches per year and 2012’s drought led many farmers to abandon harvest when there was little to show for their work. Even during the rainy season, farmers are no longer providing the fresh, nourishing meals they once were. To make matters worse, as of June, 2014, the Nicaraguan government gave a Hong Kong company the right to build a $40 billion shipping canal straight through the center of bio-diverse ecosystems in the tropical forest. Building the canal “would entail slashing through around 180 miles of thick tropical terrain—roughly triple the length of the Panama Canal—and then pumping a virtual sea through a series of locks deep enough for massive cargo ships,” the Times reports. This project was passed in just three days without the consultation of scientists or native communities – whose land the canal would violate. This canal would destroy the use of Lake Nicaragua, one of the largest lakes in the world, for local fishing and as the central drinking water source for all of Central America. This very unfortunate project will be devastating to the ecology and life of Ometepe Island, Nicaragua and all of Central America. A simple way to help is by signing this petition. How else can we help? Please let tell us your ideas! Ometepe Island is considered a leading eco-destination for its loosely knit community of landowners, tourism businesses and non-governmental organizations all working on different permaculture and sustainable development projects. 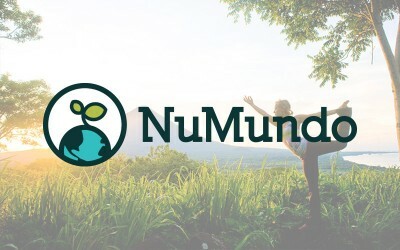 A harmonious relationship between homesteaders and hippies to native people and hoteliers is emerging and creating quite the example of positive progress between people of different cultures uniting for mother earth. Some of these progressive projects that you should visit are: El Zopilote Restaurant & Permaculture Farm, Finca MagdalenaOrganic Farm Collective, La Via Verde Organic Farm/Bed & Breakfast, Hacienda Merida Sustainability Education and Conservation Center, Inanitah EcoVillage & Spiritual Center andProject Bona Fide Demonstrative Permaculture Farm. After talking with Mitch Heddad, one of the directors of Project Bona Fide, Bryan and Shayna were particularly moved by their initiatives. “We are doing experimental researchinto appropriate technology and agricultural systems, have an active volunteer program and educational programs. We work with Universities from around the world teaching students from High-School about alternative agricultural practices and systems of food production”, says Mitch. One of the major challenges of Project Bona Fide is having to work with a lengthy dry season. However, they’re doing an incredible job and Bryan and Shayna could easily see the significant separation between the lush and green of their land and the dry and yellow lands outside of their property. The grassroots projects working towards progressing the livelihoods of indigenous people and their land is abundant on Ometepe Island. Shayna and Bryan hope this inspires you to search for and even start incredible projects like these in places that need it throughout the world! 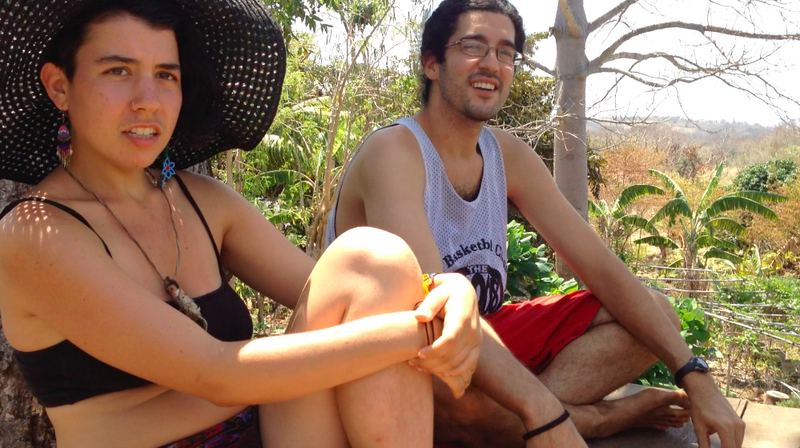 Check out Episodes One andTwo of their video blog to discover more of their journey on Ometepe.